A multitude of State Programs in various spheres and professions are being implemented in Moscow, starting from the creation of a comfortable city environment and increase in quality of life for Moscow’s residents, up to securing stable economic growth and inflow of investment into the city. We have selected fundamental and large-scale state programs for Moscow which are actively influencing the development and betterment of the business and investment climate in the city of Moscow. 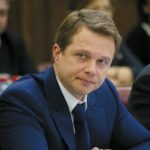 The full list of Moscow’s State Programs is available at http://budget.mos.ru/365. Providing comfortable conditions for the vital day-to-day activities of the population of Moscow by developing a stable-functioning, safe, attractive and comfortable system of transport for all members of the population as part of the Moscow transport hub. ■ Opening Moscow Railway’s Little Ring along the Moscow river for transport. ■ Decreasing the occupancy of public transport’s rolling stock by 15%. ■ Reducing the average movement interval on the above-ground municipal transport during rush hour from 8 to 5 minutes. ■ Reducing average time expenditure per trip from residential areas to working areas by 15-20%. ■ Increasing the speed of travel by public transport from 11 to 18 kilometers an hour, including bus lines to 30 km/h. ■ Reducing the share of the population currently not being served by the subway system from 22% to 13%. ■ Increasing the comfort of every trip by using new models of vehicles, capable of transporting handicapped individuals. ■ Introducing roughly 1.5 million parking slots into use. ■ Decreasing the time for switching stations at large transport hubs from 15 to 4-9 minutes. ■ Elimination of unsanctioned departure points for buses. ■ Reduction of the arrival time for emergency response crews by 3-4 times by guaranteeing their safety en route. 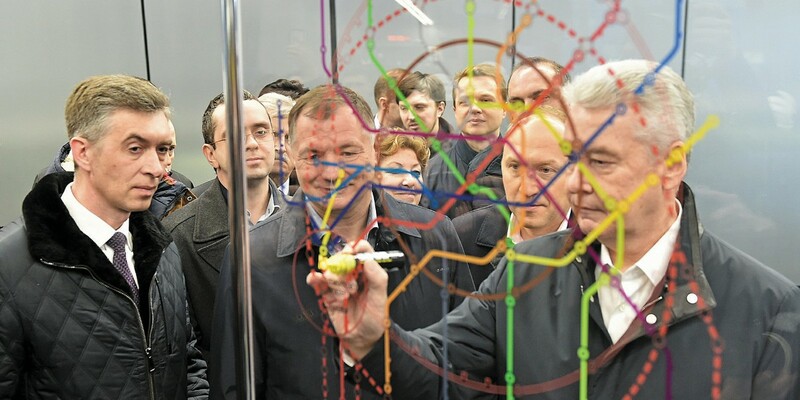 ■ Reducing transit congestion in Moscow by 20-25%. The city of Moscow is a large transport hub for Russia. More than 14 million trips take place on public transport per day and more than 5 billion per year. Currently the city’s transport system includes the following forms of travel: the Moscow subway, the Moscow monorail transport system, rail travel, above-ground passenger transport and personal means of transportation which serve roughly 6.89 billion passengers a year. In 2017 independent international and Russian experts noticed an increase in the quality of the transport situation in Moscow. in the Russian Federation for quality of transport service (Lomonosov Moscow State University). 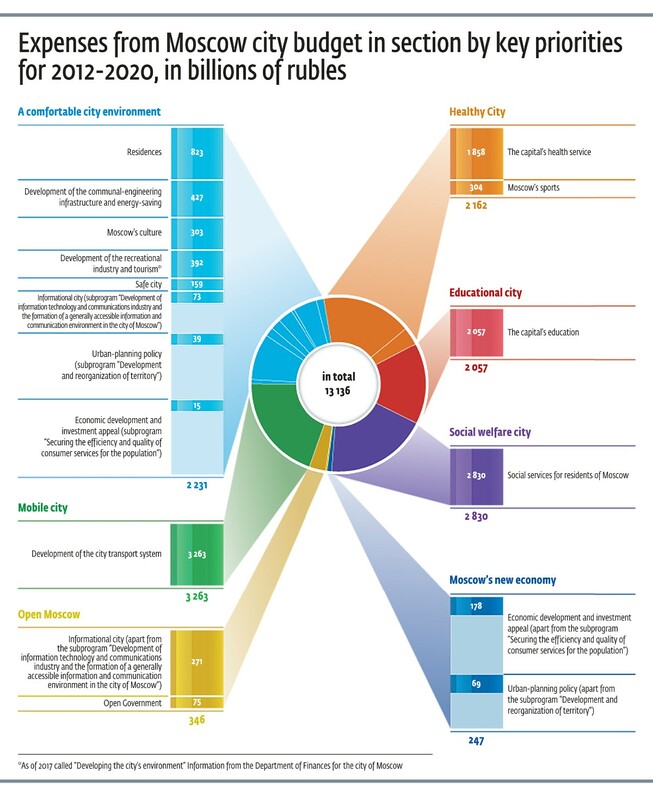 From 2010 1 million vehicles have been added to the Moscow transport hub (a growth of 17%). In total the city counts roughly 7 million vehicles, at the same time the roads are used by 3.2 to 3.6 million personal transport vehicles. More over, 19 million trips are conducted daily by all forms of city transport. With every year more and more people choose public transports for travelling around the city. Currently 70% of the city’s residents and guests travel by subway, bus, trolleybus, and tramway during rush hour. In 2010 this number was 63%. At the same time, considering the constant growth in the number of cars, road traffic dropped by 23% according to the company TomTom. 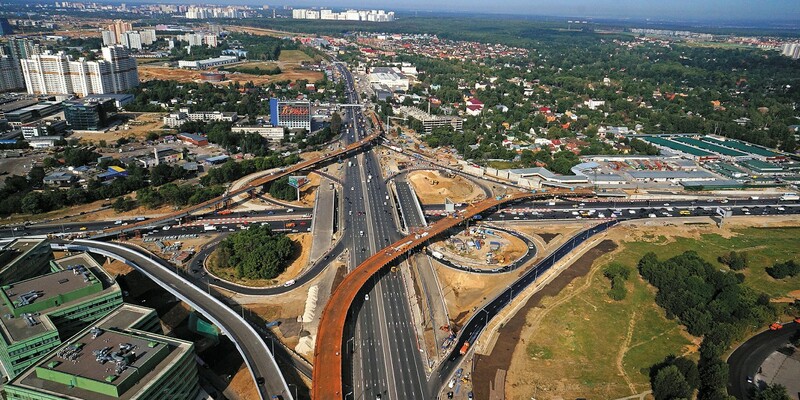 According to the Moscow Center for Traffic Management and Yandex, over the last six years the average speed of road transport in Moscow grew by 13%. bike rental – up to 2.3 million (two times as much since 2015). From 2011 60 new stations in the subway and MCR have been built. From May 1 2017 the MCR was able to transport 120 thousand more passengers owing to the reduction in intervals between trains. 100% of trains on the metro and MCR are equipped with Wi-Fi, which is used 2.2 million times daily. The Metro Security Center has been working since February 2017, overall during nine months, its employees have conducted 51 million inspections. Moreover, during this time 13 new routes of above-ground city transport were constructed (in total 366 since 2010), and 110 new stops were added (662 since 2010), 16 kilometers of bus lanes were added (265 kilometers since 2010). 85% buses were equipped with access to Wifi, accessed daily half a million times. Since 2010 8 thousand parking spaces were organized for drivers along the city’s network of roads. Aside from this, new park-and-ride lots will appear along MCR stations. As of now, there are 27 parking lots near MCR stations, which are able to hold overall around 5.2 thousand cars. Moscow has the highest safety level for road traffic in all of Russia. Owing to measures taken by Moscow’s government on increasing safety for road transport, over thousand lives have been saved since 2010. As research has shown, regulation of road traffic on well-maintained streets decreases the intensity and quantity of traffic congestion. The average speed for road traffic along these streets decreased by 7%, and the number of pedestrians by 3-6 times. for pedestrians comfortable sidewalks were created, 143 navigation points were added, and 500 new crosswalks were created. By ecological standards the capital’s rolling stock fleet is among the top five best among world metropolis’. From 2011 the share of pollutants was reduced by 25%. In 2017 the decision to no longer use buses with internal combustion diesel engines effective 2021 was passed. The city will acquire only electric buses. This will allow for a significant reduction in the level of pollutants, as well as for an increase in the comfort for travelling on above-ground transport by reducing the noise level and vibrations in the bus’s interior. Moreover, the use of electric buses will allow for a significant reduction in expenses and will significantly simplify the process for regulating technical maintenance. The advantages of electric buses: they are 100% ecological, quiet, there are new services for passengers (USB-chargers), and they are 100% handicapped-friendly. In 2018-2020 the purchase of up to 300 electric buses on a life-cycle contract basis has been planned, anticipating service and repair over the course of 15 years. In October of 2016 the Magistral project was released, in which 19 main, 116 regional, 8 social, and 11 night routes for city transport were organized or altered. There are more than 600 active buses on Magistral routes with an average interval of 2-5 minutes (along bus lanes). The waiting time for a bus in the center of the city was reduced by 3 times. In October of 2017 500 thousand trips per day were conducted along these routes. At the start of autumn 2017 a modern and beautified transport hub was made on Slavyanskaya square, close to the Kitai-gorod metro station, from which one can reach practically any point in the center of the city by public transport in less than 20 minutes. Trams have made a comeback to Tverskaya Zastava square. Since their return to service, they have transported more than 700 thousand passengers (more than 25 thousand daily). This allows for the reduction of Belorusskaya metro station’s passenger load. Moscow has introduced the most modern transport payment system. The Troika card is the most popular transport card in Europe – in 2017 the number of Troika cards distributed reached 15.6 million (more than 4.9 million were distributed over nine months). Currently, more than 85% of trips are paid for via the Troika card on public transit in Moscow. Moscow bike rentals are № 1 in Europe by quantity of trips per individual bicycle (six trips). Currently the city-wide bike-rental system included mores than 380 stations with 3620 bicycles (in 2017 50 new stations with 500 bicycles appeared). In the 2017 season the number of trips increased by 37% in comparison with 2016, reaching 2.3 million trips. Moscow carsharing is also № 1 in Europe by number of trips per individual car (6-8 trips), as well as by the development dynamic. Today the Moscow carsharing system has 300 thousand individual users registered, with 4.7 million trips completed (with 3.6 million trips over 9 months in 2017) The city has 3635 car-sharing vehicles (2.2 thousand cars were added over 9 months in 2017). Moscow’s taxi system is the youngest amongst metropolises of (the average car age is 2.8 years). 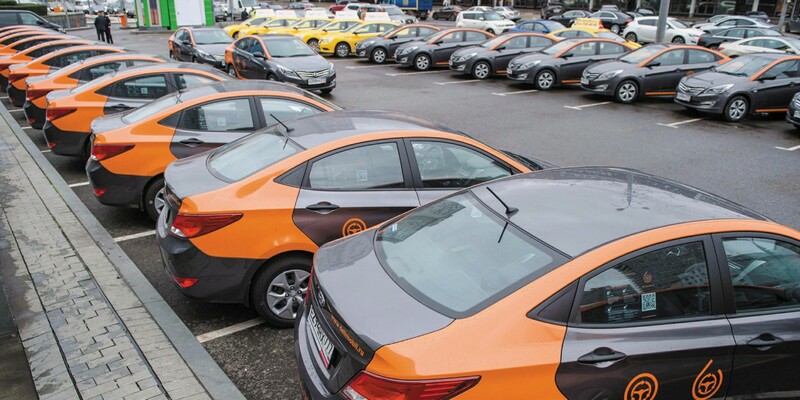 There are 47 thousand taxi cars operating in Moscow, 80% of which are painted yellow. On average, one taxi car fulfills 7-8 orders. Over the past few years arrival time has dropped by four times – from 30 minutes to 5-7. “Work on Moscow’s transport problems is the city government’s key task, and in many ways the development of the city and its agglomerations overall depend on how it is solved. 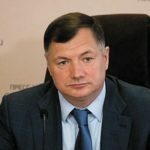 The efforts of not just the Department of Transport, but the majority of major departments and offices of Moscow are being directed towards solving these tasks. In particular, the majority of the Address Investment Program’s resources were used to address transport problems – the construction of roadways, the subway, and transport and transfer hubs. In addition, quite a few resources were directed by the Municipal Economy Complex for the beautification of streets, the arrangement of transport and transfer nodes, and the implementation of local events. The majority of work is undertaken by the City Property Department. Considerable resources were also directed towards solving precisely these problems. Strategic events implemented by the Moscow government secure in large part free movement along the city’s streets. It is becoming easier for car owners to travel more freely, find parking spaces, and orient themselves in the city. Municipal transport is frequently overcrowded during rush hour. This happens across the entire world, but we are getting to the point of bringing Moscow’s transport system in balance. Above-ground gransport in Moscow should be as effective as the subway. One of the most important tasks which we are prioritizing is the the development of comfortable and safe pedestrian and bicycle infrastructure. It is very important that the formation of civilized parking space also be directed towards resolving this task, as unstructured parking hinders the free movement of pedestrians, vehicles, and the municipal transit system’s drivers”. The formation of an auspicious living environment. Department of Urban Development Policy of Moscow. 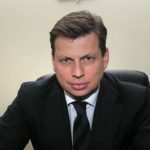 Control over the program’s implementation is given to the Deputy Mayor of Moscow in the Government of Moscow for Urban Development and Construction, Marat Khusnullin. ■ Defining and confirming priorities for municipal development of the city as the capital of the Russian Federation, center of the Moscow region, and as and international financial, scientific, educational, cultural and athletic center. ■ Preservation of the historical and architectural face of the center of the city, and the complex development and construction of Moscow’s municipal regions. ■ Perfecting the town-planning activities in the city of Moscow (territorial planning, urban zoning, spatial planning, architectural and construction design, construction). 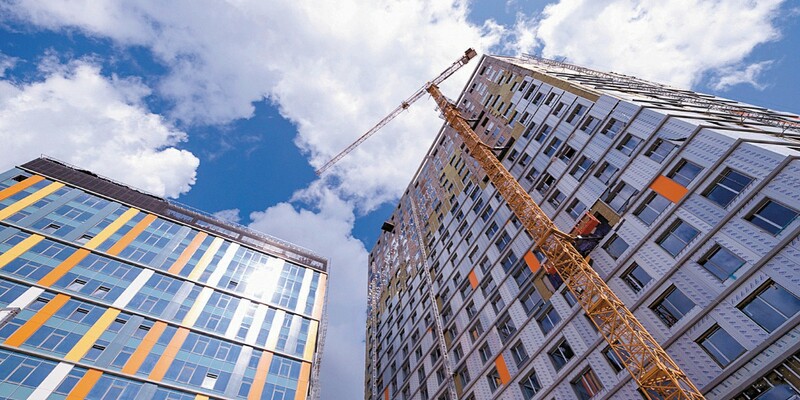 As part of the implementation of the “Urban Development Policy” state program for Moscow the comprehensive ensurement of housing for the city’s population, jobs, and social and transport infrastructure are being carried out. Positive conditions for real-estate investment are also being developed. A four-year targeted investment program is developed annually, which is the driver for the city’s development and construction of real estate across the entire territory of Moscow. Moscow currently occupies the 7th place among the largest cities in the world according to the “Volume of budget investments per capita” indicator. Yearly, this has allowed for the attraction of extrabudgetary investments in the volume of 86% of the overall volume of total construction. In total, more than 40 million square meters of real estate have been built in Moscow over 5 years, including 15 million square meters of living space. The real estate fund in Moscow was renewed by 10%. Currently Moscow occupies the 5th place amongst the largest cities in the world for commissioning real estate per capita. Over 5 years 380 social facilities were built in Moscow, and in 2015-2018 the construction of another 282 facilities have been planned. This allows for the comprehensive ensurement of social infrastructure for newly-developed regions and the resolution of the problem of prior-accumulated capacity deficit.. The municipal transport infrastructure development remains a main priority for Moscow’s urban development. Over 5 years more than 400 kilometers of roads have been built, which comprises 10% of the overall existing city road network. (2.5 times more than in 2006-2010), 31.01 kilometers of subway lines (10% of the overall length of Moscow’s subway lines), 18 new stations were introduced, 4 electric engine houses, 118 artificial structures, 140 crosswalks. Another 78.45 kilometers of subway lines, 36 new stations, 4 electric engine houses, 87 artificial structures, and 48 crosswalks are in design and construction. The works that have been carried out provide the population with convenient access to all points in the city, and raise the investment appeal of the area. Over 2012-2015 road congestion in the city dropped by 16%, and as a result Moscow has ceased to be a leader in traffic jams amongst world metropolises. “2017 was a landmark year for all of the Moscow development complex. Two large-scale and unique projects were implemented – the large sports arena Luzhniki and Zaryadye park. Projects crucial to the city were implemented which will become a work vector for tens of thousands of construction workers and which will affect millions of Muscovites. 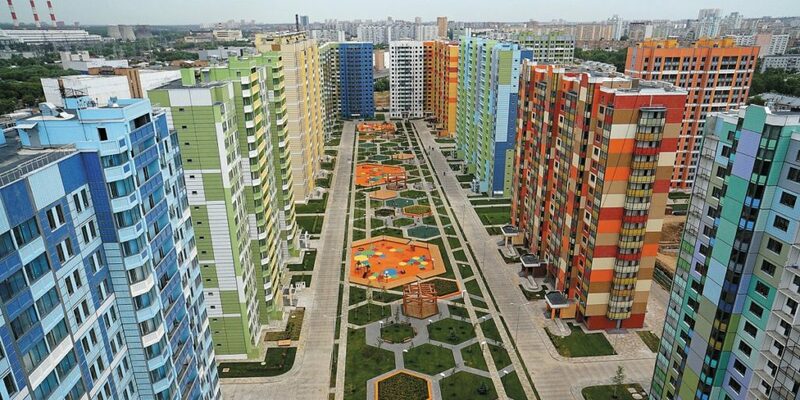 These projects were the renovation of dilapidated housing stock and the creation of Moscow Central Diameters. At the same time, grandiose projects for the further development of the subway and road networks that were started earlier are continuing to be implemented. 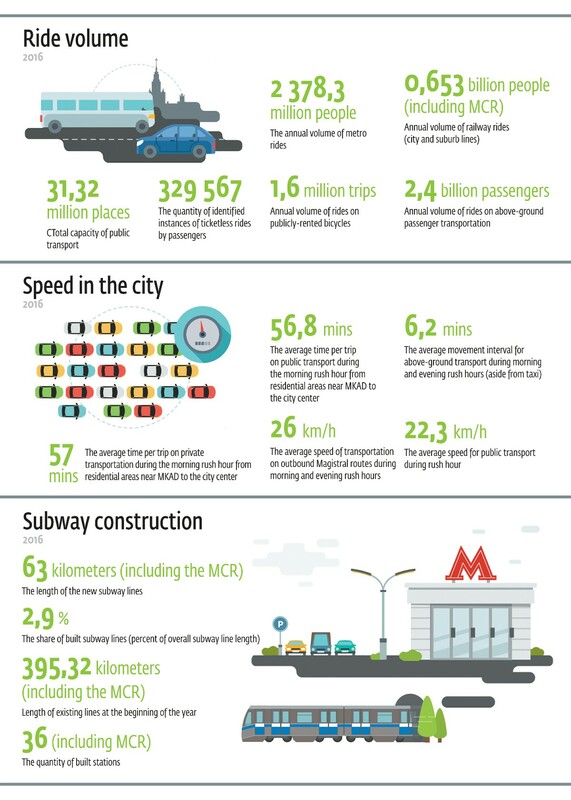 If you compare Moscow with other metropolises, Moscow continues to occupy the top places in world-wide ratings in speed and volume of subway construction, surpassing Beijing, Mexico City and Istanbul. Annually, our underground transport caries 2.5 billion people, at the same that its congestion is lower than in other cities. I would like to remind you that in 2011 we set about implementing subway construction unprecedented in scale, by 2020 the capital’s metropolitan network will grow by almost 1.5 times, and the subway stations will be within walking distance of 95% of the city’s residents. 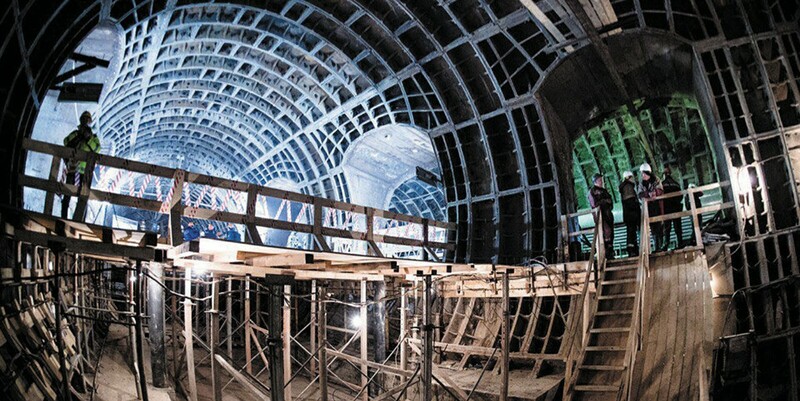 Over the years since the start of the program 114.4 kilometers of lines in the subway and MCR, which we consider a full-functioning above-ground subway, were built and put into operation. Overall over 7 years we have created more than 300 alternative routes along the city for our people. 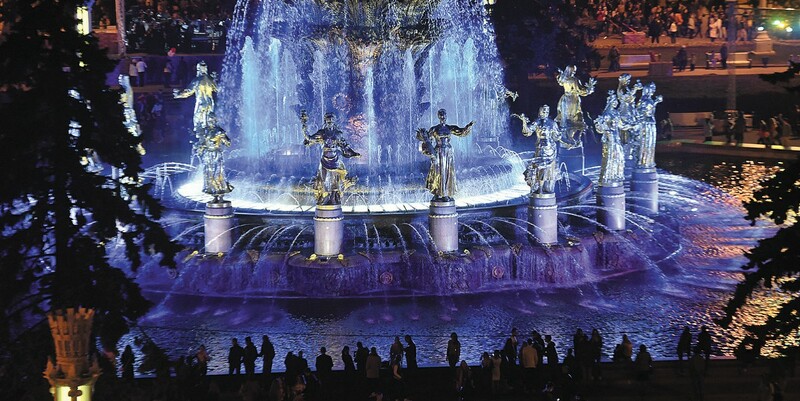 ■ The creation of a highly-comfortable infrastructure for recreation and tourism in Moscow. 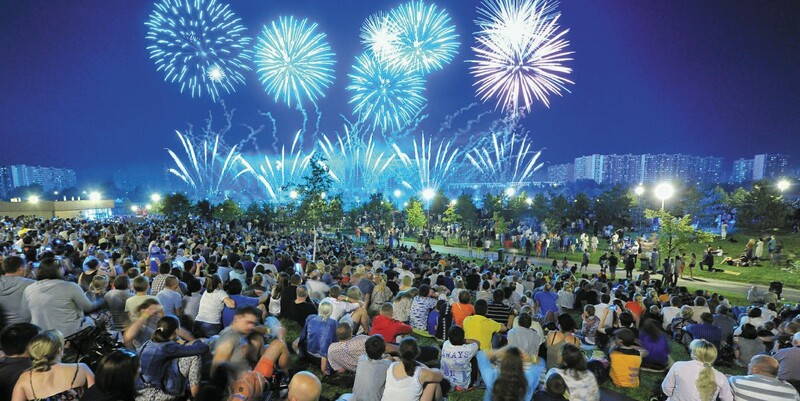 ■ The consistent development of parks, increasing their social, ecological, and recreational significance, the creation of maximally auspicious conditions for the self-development of this generation of youths, and provision of a full spectrum of services in recreational activities and in the tourism sphere to the city’s population. ■ The development of infrastructure at museum estates’ and museum residences’ grounds in order to better the quality and quantity of services available for the city’s population: public eating, expanding souvenir and book production, print publications, and the development of active and healthy family recreation at museum and park property. ■ Bettering category I and II green spaces in Moscow. ■ Adapting parks, park areas, squares and boulevards for rest and recreation for Moscow’s population. ■ Increasing investor interest in the development of the city environment. ■ Adapting bodies of water for recreational purposes for Moscow’s population. ■ Creating conditions for planning modern and comfortable recreation for residents and guests of Moscow. 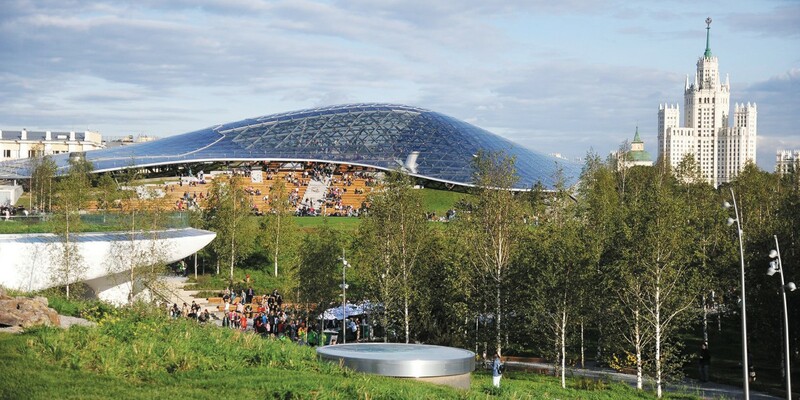 ■ Creating the necessary infrastructure for recreation on Moscow’s green areas. ■ Supporting for the maintenance of nature reserves as tourist and recreational areas. Moscow ranks highly in international tourism ratings. In particular, the city occupied the first place amongst Russian cities in the top-10 most popular New Year’s holidays for the 2016-2017 New Year according to information from mondo.ru and roomguru.ru. In addition, the capital was included in the top-10 ratings of the most attractive cities by the tour guide “Best in Travel – 2017” from Lonely Planet, and was also included in the top-10 list of most accessible (inexpensive) European cities for tourists in 2016 according to the British company Post Office. Over 6 years the number of tourists who visited the capital grew by 40% – from 12.8 million in 2010 to 17.5 million in 2016. This considerable growth in tourist potential was secured by beautification measures. Among them were the development of transport infrastructure, increase in safety, the construction of hotels, and the creation of the public recreation industry and new event calendar. The most significant event in the development of transport infrastructure in 2016 was the opening of the Moscow Central Ring. 2017‘s opening of Zaryadye park and new subway stations was the catalyzing force for increasing the tourist appeal of the city. Walking zones, quality parks, bike lanes, bike rental locations, multilingual signs, parking spaces for tourist buses, free Wi-Fi stations, and much more has appeared in the city. Moscow has 232 kilometers of convenient and modern walking spaces, and more than 200 kilometers of bike lanes, 1474 rinks, more than 300 bike rentals locations, and 370 kilometers of ski runs. Thanks to the “My Street” program, in only 2 months the number of available pedestrian excursions in Moscow increased by almost two times. The city offers its guests 1.5 thousand various routes, a third of which are walking routes. Active construction and reconstruction of hotels has allowed for elimination of the deficit in available and quality places to stay. Over 6 years the number of rooms grew by 37% and has already exceeded 58 thousand rooms. medical – the expansion of the city clinics’ and medical centers’ opportunities. As per tradition, the most popular form of tourism remains family tourism – visiting relatives and friends. Residents of Russia’s regions comprise 74% of the general number of tourists who arrive to Moscow. Foreign tourists comprise 26%. Chief among these tourists’ countries of origin are China, Germany, Turkey, Israel, France, Italy, the US, Great Britain, and Spain. Russian tourists come to Moscow roughly in equal share by plane, railroad, and car. For foreigners it is a given that air travel prevails (88 %). Around a third of guests arrive to Moscow in order to visit their friends or relatives. Another third are interested in event and cultural tourism. 28% of tourists arrive for business, and 6 % for other reasons (medical, pilgrimage, amongst others). ▪ 600 thousand tourists were from abroad. During the “Journey to Christmas” festival additional income from the city’s hotels, commercial businesses, and restaurants comprised 56 billion rubles. As a result of the systemic work on advancing the “Journey to Christmas” festival and travel-package tours, Moscow has occupied the first place in the rating of top-10 Russian cities for hotel reservations on New Year’s night 2 years in a row. Moscow has been proving its appeal for tourists during New Year’s holidays for a few years. If you consider the 2010/2011 season as 100%, then the 2016/2017 season net increase in tourist flow was 155.4%, meaning it grew by more than 2 and a half times. Millions of people also visited an event unique for both Russia and the world – the “Around the World” festival, whose installations for the second year in a row have entered the Guinness Book of World Records. ▪ zero stars – 447 hotels and hostels. Currently there are 211 functioning hotels in Moscow with over 50 rooms. 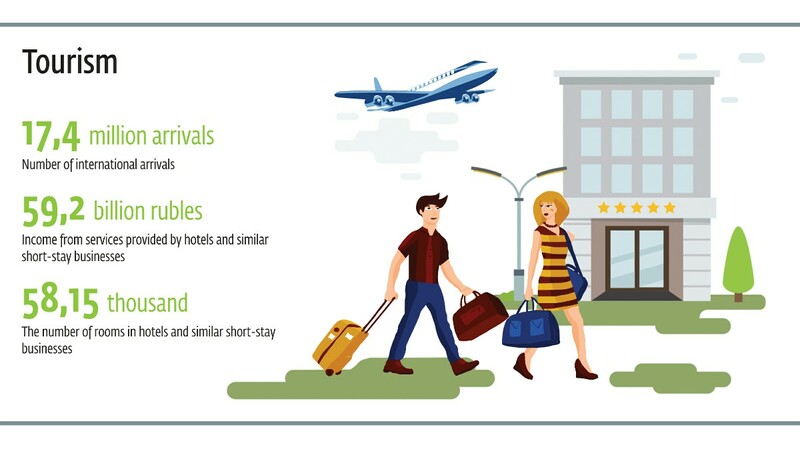 There are 413 hotels and mini-hotels with less than 50 rooms, 242 hostels and 4 boarding houses. The overall number of rooms is 58.1 thousand. The average congestion in the capital city’s hotels in 2016 was 67%. In 2016 almost half of all of the city’s guests stayed in hotels. The remainder stayed with friends, family, or acquaintances. The number of hotel and hostel tenants grew by 2 million people (or 25%) over two years, and in 2016 reached 9.8 million people. The overall number of overnight stays exceeded 20 million. Tourism revenue plays an ever-growing obvious role in the city’s economy. Expenses for event tourists in Moscow comprise on average 6.3-6.7 thousand rubles a day. Guests who arrive to the capital for business purposes spend 5.9-6.7 thousand rubles, while those tourists who arrive for culture tourism spend 5.4-5.8 thousand rubles. The expenses for shopping tourists on average comprises roughly 9.5-10 thousand rubles a day. If in 2010 the share of tourist consumption in the gross regional product of Moscow comprised roughly 1%, then in 2016 it increased by four times to 4% (457 billion rubles). This allows for tourism to be considered as one of the leading branches of Moscow’s economy. Further development of this industry will allow for an increase in tourism revenue by 2 times by 2020 – up to 1 trillion rubles, which will comprise 6-8% of Moscow’s gross regional product. “Today, Moscow’s hospitality industry is living its prime. Of course, in the future everything could and should be better, but right now the level of tourist infrastructure in Moscow corresponds to the most discerning taste of a sophisticated tourist, but in many ways exceeds the services which recognized world tourist capitals offer. In comparison with 2010 the number of tourists arriving to Moscow rose by 40%. In 2016 the volume of tourist arrivals comprised 17.5 million people. In 2016 domestic tourism prevailed, the share of which comprised 75%, while the share of foreign tourism in 2016 was 25%. The main countries per number of tourist arrivals in 2016 were China, Germany, Turkey, Israel, France, Italy, the US, Great Britain, Korea, and Japan. Moscow is one of the largest cities in Europe, one of the largest consumer markets of both Russia and Eastern Europe, acenter for investment activity and an agglomeration of about 20 million people. In 2017 Moscow entered the top-3 regions in Russia for quality of investment climate and occupied the first place in the rating for development of public-private partnerships. Growth in investment volume in fixed capital for 2016 amounted to 55.6% in comparable prices to 2010, and by the results for 2017’s first half increased in comparison to the same period in 2016 by 19.3% and comprised 658.2 billion rubles. Moscow’s share comprises around 11.5% of general investment volume in fixed capital in Russia. 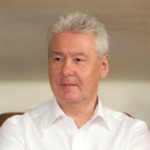 Attracting private investment has been stimulated by measures that support projects by assigning special statuses, providing tax discounts, subsidies and opportunities for concluding off-site contracts with the city of Moscow’s government.. The city is actively developing. A high level of budget security alongside a low level of state debt (around 1% of GRP) allows for the realization of large-scale state investments in the development of transport and social infrastructure, the development of the education and health systems. The volume of the city’s targeted investment program in 2017-2019 exceeded 1.4 trillion rubles. Expenses from Moscow’s budget in 2016 comprised more than 1.7 trillion rubles or more than 26 billion dollars. By this standard, Moscow is one of the largest metropolises of the world. Moscow’s budget exceeds the budget for Las Angeles (US) by almost 3 times, and that of Paris (France) by two times, and is equal to that of London (Great Britain). Investment expenses from Moscow’s budget in 2016 reached almost 420 billion rubles, or 6.3 billion dollars. ▪ The creation of conditions for the development of high-tech companies, increasing the cost of intellectual labor and stimulating demand for highly-qualified specialists in fields which are priorities for the city, provides for the formation and development of the municipal system of support for high-technology companies with potential for rapid growth, the creation of a system securing the search, evaluation, and active introduction of innovative solutions and technologies in the city’s economy, the stimulating the creation and development of activity of innovative territorial clusters in perspective technology sectors, including through the development and implementation of complex investment projects for the development of innovative territorial clusts is the enumeration of activities justified by their economic feasibility of volume and implementation deadlines, including activities for implementation of investment, as well as for projects for the creation of new, or modernization of already-existing manufacturers at enterprises of various organizational or juridical forms at the territory of the city of Moscow, at which are location innovative territorial clusters. ▪ Resolution of the problem of identification of territorial reserves in the city’s industrial zones includes an inventory of production areas and industrial zones. The need for renovating industrial zones is conditioned by the inefficiency of their use in conditions of dense development, which hinders the further development of industry on the territory of Moscow. ▪ Analysis of the existing situation, formation of borders for integrated development, and also the coordination in the design and implementation of documentation on planning of production, scientific and warehouse areas allows for the creation of auspicious conditions for the development of Moscow’s scientific and industrial potential and modern industrial clusters. 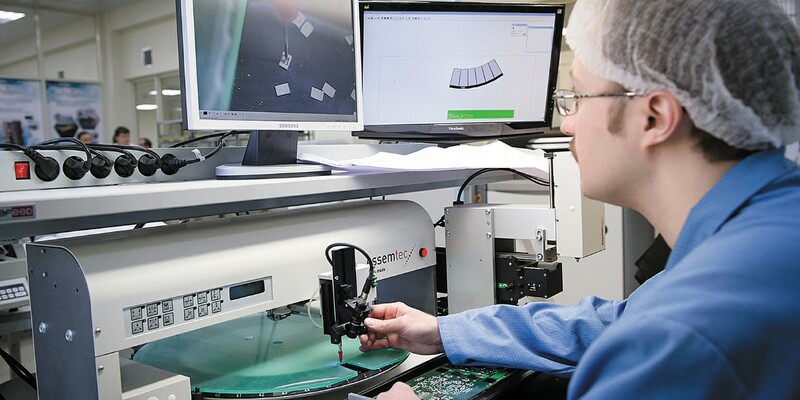 ▪ For medium and small businesses, industrial enterprises, scientific, innovative, and engineering organizations connected to priority professions, easier access to financial resources assumes the provision of subsidies from the city of Moscow’s budget. above-mentioned organizations, assistance in the development of microfinance activities, lending to small and medium-sized businesses, and support of priority industrial projects being implemented in the city of Moscow. ▪ Professional navigation for youth and organization of additional professional education for employees of small and medium businesses, industrial enterprises and innovative organizations is being conducted due to the organization of training of employees and small and medium-class businesses, industrial enterprises, and innovatives companies, as well as citizens who desire to work in manufacturing and innovative professions, employees of support structures for small and medium businesses, the realization of the Presidential program for management training for organizations of the Russian Federation’s national economy. ▪ The implementation of specialized projects designed to develop entrepreneurial, industrial, scientific and innovative spheres includes the popularization of manufacturing and innovation infrastructure as a place for intellectual labour, the organization of professional competitions and olympiads, the granting of prizes and grants to young scientists, the implementation of a unified strategy for interaction with the media and the Internet community, the development of children’s and youth’s scientific and technical creativity, including on the basis of technology parks. ▪ The development of congress and exhibition activities in the city of Moscow includes the attraction of major international events, congresses and congresses of international associations, the formation of the image of the city of Moscow as one of the business centers of Europe. ▪ Improvement of state regulation of entrepreneurial, industrial and innovative activities presupposes the improvement of legislation to increase the investment attractiveness of Moscow’s industrial complex, reduce administrative and legal barriers to the operation of high-tech and innovative companies, optimize the number of procedures and shorten the terms associated with opening a business and conducting business. ▪ to increase the number of significant congress and exhibition events held in Moscow from 102 in 2012 to 140 in 2018. The implementation of these measures and achievement of the State Program’s final results will eventually increase the speed of investment growth in fixed capital from all financial sources to 178.2% in 2018, and also to increase the average number of trade participants in property sales located in the confines of the city of Moscow from 2 units in 2010 to 5.2 units in 2018 and the volume of procurement of goods, works, services using competitive methods to identify suppliers, contractors, and agents from 66% in 2010 to 90% in 2018. “Moscow is an economic driver, a locomotive of Russia in many ways. The Federal budget receives 1 trillion rubles from Moscow in taxes. The capital produces 21% of Russia’s GDP. Every tenth retiree in the country receives their pension from money deducted from Muscovites. Every tenth citizen of the country receives medical assistance from deductions from Muscovites.